Where does the name Mooi come from? I found the name Mooi through Google’s translator. I was looking for names. I wrote several in a piece of paper, all of them representing how the music in my first EP sounded like. This EP was written and inspired in my little sister, so the words I looked for where “cute”, “sweet” and that’s how I found Mooi, which is Dutch for “beautiful, cute”. 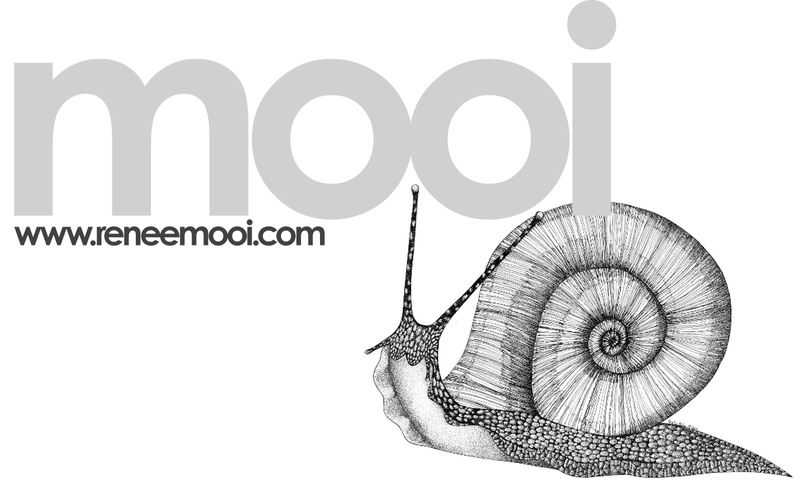 How would you define Mooi’s sound? An experimental fusion of rock, electronica, pop and spot of Jazz. Since you are mentioning genres, I have to ask you about your influences. And since we all are products of what surrounds us, I need to ask you about general influences: music, film, art, literature. All influences came to me in a time that was closer to when I started this project, which was back in 2005. Musically, I started with Bjork, Pink Floyd, Nine Inch Nails, Fiona Apple, Imogen Heap, Mum. A little gloomy. Film-wise I love cinema! I’m terrible with titles but I watch films 4 times per week! I love documentaries, me, especially nature ones. Ah, I gotta recommend the BBC’s Frozen Planet, then. Art influences? My mother and my sister paint, so they know more about genres tan me. I like art in general, I also like caricature. You’ve mentioned you’ve been doing this for 5 years. How did it all start? It’s been 5 years since I wrote this music and about 6 months since I started playing. When did you took that leap that is “I have something written up and I want to transform it into music”? I had it written and I used it in school. I also sent it to a lot of people whose opinion I value highly, so I could have some feedback. One of those persons was Aarón Cruz, who is my current bass player. He offered great feedback and offered himself to perform with me. We made it a bit more professional and that’s how it came out. Currently, your EP is in electronic form, in Soundcloud. Do you plan to do a physical release? Maybe further down the line, as a special edition. I still haven’t decided how to commercially tackle it, as we are barely playing any material from that EP at gigs. That EP was about fruits, the new album is about insects. I think the one track from the EP that is getting a great response is ‘Apple’. Sometimes ‘Watermelon’, which oddly enough, is the one that started it all. We are more focused in playing the new material. Now that you mention that the EP is titled after fruits and the upcoming album after insects, are your songs conceptual? The titles are common. The concept started with my sister, she chose the name of the first song, ‘Watermelon’, and she helped writing it when she was 8. So kept writing fruit-titled songs and now insects, as fruits describe my sister better than me. We chose fruits to sing about how you grow up and get to know yourself better, insects reflect how I feel right now; I’m now not so sweet nor naive, I write about death and things that seem uncertain. Fruits rot and from there, the insects come to life. Like the video for Nine Inch Nails’ ‘Hurt’? Out of the four songs from the EP, which one is your fave? Ah, I don’t know! I like ‘Watermelon’ a lot because what it meant to me, the voice in that song is my sister’s. It’s the one song I’m the most grateful about. I really like the movement in ‘Apple’. The sadness and depth in ‘Plum’. I think the one I feel less identified with is ‘Cherry’, but I also like it. My fave is ‘Plum’! Melancholic but dreamy. It hit a nerve! Incidentally, we saw your Back to Basics session. What do you think of these minigigs? Well, I loved it, because it was organised by people that I love and respect, and it’s also the first visual representation of what Mooi is. It’s the live recording of a rehearsal and it reflects how we sound live. It was important and it had a lot of effort, something well produced in México. Best of all, they are getting more recognition and it’s the connection we needed in the Mexican independent scene. We need to be more united and support each other. Funny enough, that’s how I first heard you, because of Back to Basics! What else can you share about your experience? They do ask you play a song by another independent band, so we played a song by Radaid, which helps mutually. It’s a sort of fan exchange, so there’s a network of supporters. It’s a nice change to see us all support each other. Without naming and shaming, I think that’s what we need the most in México. When radio stations and media isolate themselves from new music, you need your own platform. Yes, that’s what we aim for. I’ve gotta ask about the EP: are the instruments samples or is it all real? It’s all live, we have no samplers! We do have a trigger, but there are no sequences, it’s all live. Electric violin, electric double bass, two keyboards, guitar, a drumkit with electronic pads and voice! How many people are there in your live band? Six. We are a small gang! Sometimes we mix and match, because sometimes a member might not be able to play so we need another person playing their part, and if there isn’t anyone, we’ll do it ourselves. As a woman: has it been a struggle to be in the Mexican music scene? I see it as a pro, not a con. There’s quite a few female artists doing their thing, it’s picking up pace. There’s Carla Morrison, Camila Sodi had a release, Julieta Venegas spearheaded for a while, the two lead singers of Radaid. I’ve been working for a few years not only in the independent scene, but also the pop scene…and everywhere I went, I was the only girl! It was cool that when I started to work at 17, everyone took care of me. Being in an independent band means that I get treated equally, so if the drumkit has to be hauled around, everyone helps and that’s how it is. There’s no judgement nor definition neither by genre nor age. I think the important fact is that I’m in rockier phase, not so sweet because that’s not what I am. Your song titles are in English, your band name is in Dutch. Do you feel that bands in México need to use another language to get their own place in the scene? I now feel the necessity to connect with the Mexican audience, so my music has a proposal that’s specific to México. I want to compete with what’s being offered in other countries, but I do need to connect with the people in México. You need to find that meeting point between communication and sharing, staying true to what you feel and how things are done. I didn’t live in México for a while, that’s why English comes natural to me when singing. Although there aren’t enough venues for new talents, it seems the Internet is the new battlefield for musicians. How much has the Internet and social media helped you out? A lot! It has helped in so many ways. Facebook, Soundcloud, once upon a time Myspace, now Twitter. It’s my strongest mean to communicate. It helps me organise and broadcast. I hardly knew anyone and wondered “what now?” So I started “liking” other bands and tried to siphon some fans, self-promoting a bit and so. Little by little. It’s now the time when people are reaching out, without putting excessive amounts of effort. First of all: enjoy life to the fullest, just in case the world does end! Second: writing for the album, although I still want to gig this year. We are aiming to release the album by February next year, around my birthday. And that’s all she wrote. I seriously consider nicking Mia (she fitted perfectly in my murse), but I thought it wasn’t the best impression to make to a new artist in the independent scene of México. What does give a good impression is the music that Mooi creates. I’d like to invite you to listen to her music in the links provided. Mooi Soundcloud. Myspace. Facebook. Twitter. Posted in Dreamy, Interview, InterviewsTagged Interview, Mexican Dreamy Pop, MooiBookmark the permalink.